Thread: Pokemon World Adventure! Participate members! Greetings! And welcome to the world of pokemon! 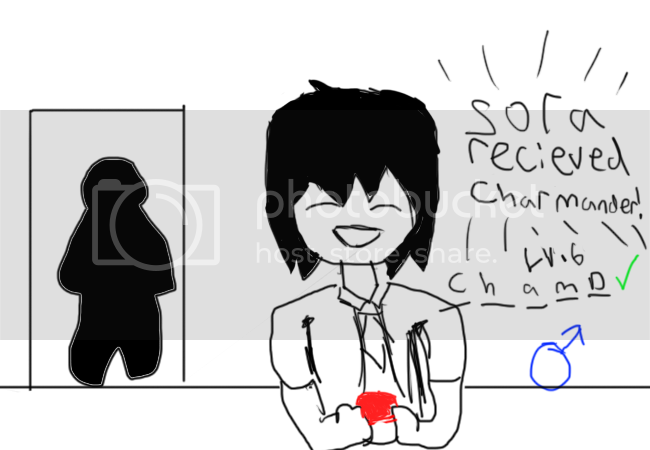 Your name is SORA KODAMA, and at the moment you are inside the PROFESSORS LAB. 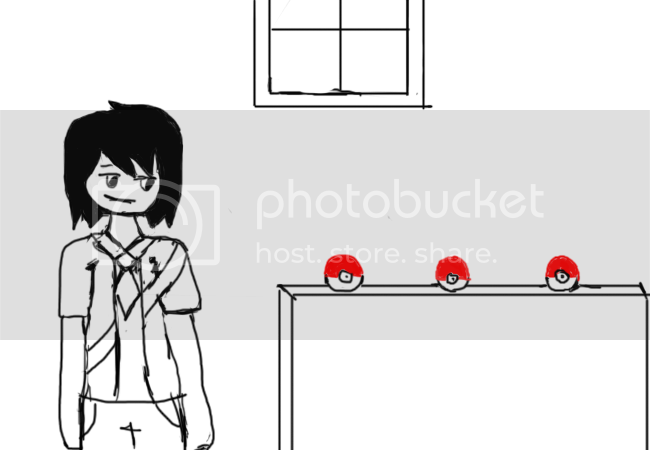 The reason why you are in this lab is because it just so happens that today the 26th of February is your 17th BIRTHDAY and the PROFESSOR said you could choose a pokemon from his lab since these certain pokemon are very RARE to find that it would take DAYS to find one. One of these POKEMON are bound to be your birthday present. Since nobody is in the LAB you assume that you may choose whichever pokemon you want. You decide to take a closer look at these 3 POKEBALLS. The PROFESSOR told you what pokemon are in these pokeballs. They are BULBASAUR, CHARMANDER, and SQUIRTLE. What pokemon will you choose and what will you do? Last edited by Sora; 10-26-2012 at 04:51 AM. Sora: I choose Charmander and nickname it J. Last edited by Jay; 02-26-2012 at 09:24 PM. 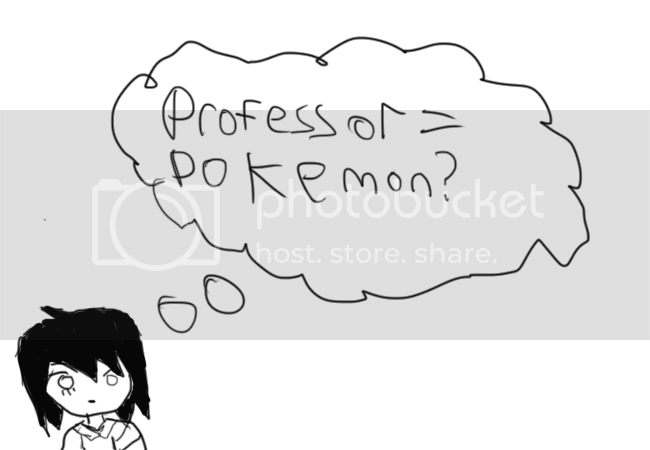 I choose to pick PROFESSOR as my Pokemon. I walk out of the lab after throwing the Pokeball containing PROFESSOR at my Rivals head and have the rebound land on my belt-snag, because that's where almost all the trainers keep their Pokeballs. >Sora: pick PROFESSOR as your Pokemon, walk out of the lab after throwing the Pokeball containing PROFESSOR at your Rivals head and have the rebound land on my belt-snag, because that's where almost all the trainers keep their Pokeballs. you do that, you originally had the intention of nicknaming it AKA or J, but champ seems more fitting to you anyway. By the way, there's a MYSTERIOUS figure behind you, Who is this person? 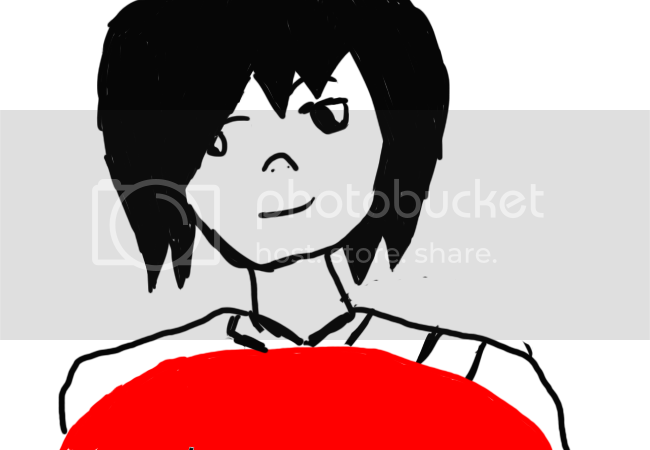 Last edited by Sora; 02-26-2012 at 09:59 PM. Sora meets mysterious man named Jay and He challenges Sora to a battle. In the midst of Jay and Sora battling, a man wearing full black with a Bright red M on his chest jumped towards the two, and snatched away the pokemons shouting, "My name is Mario!" You turn around to see the PROFESSOR dressed in a bikini. He catches you staring and proceeds to fight you. Sora accepts the challenge and sends out Charmander. Jay smirks back at Sora then calls out Cyndaquil into battle. In the midst of Jay and Sora battling, a man wearing full black with a Bright red M on his chest jumped towards the two, and snatched away the pokemons shouting, "My name is Mario!" You forgot to mention Jay's pokemon so I edited for you.